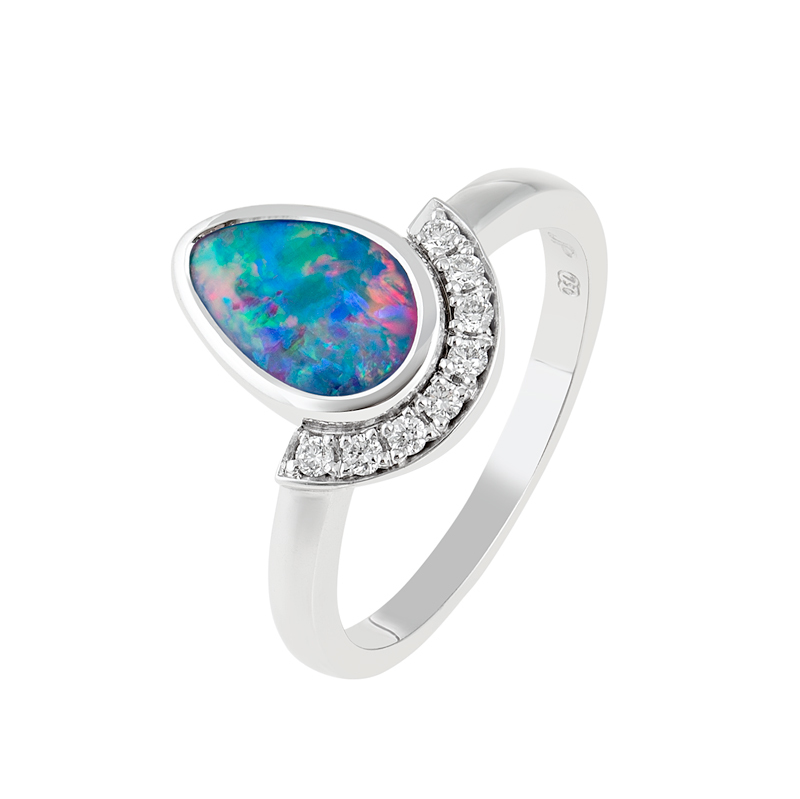 Immerse yourself in this unique and fiery opal. 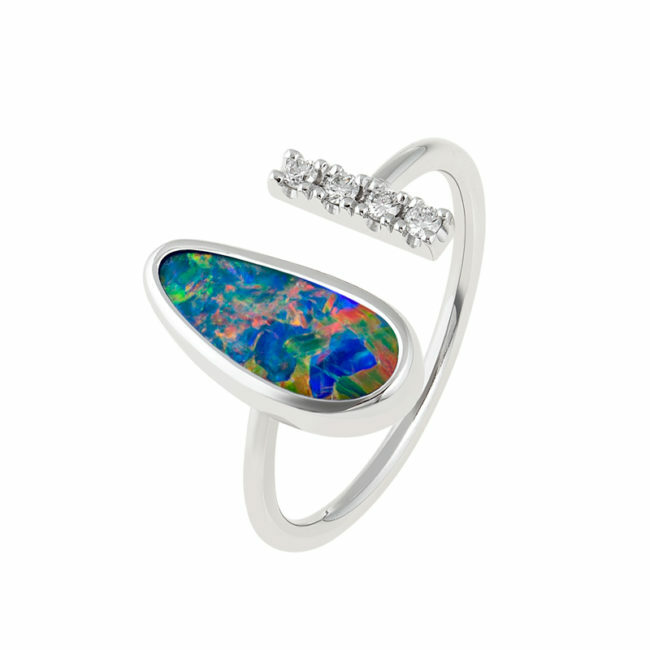 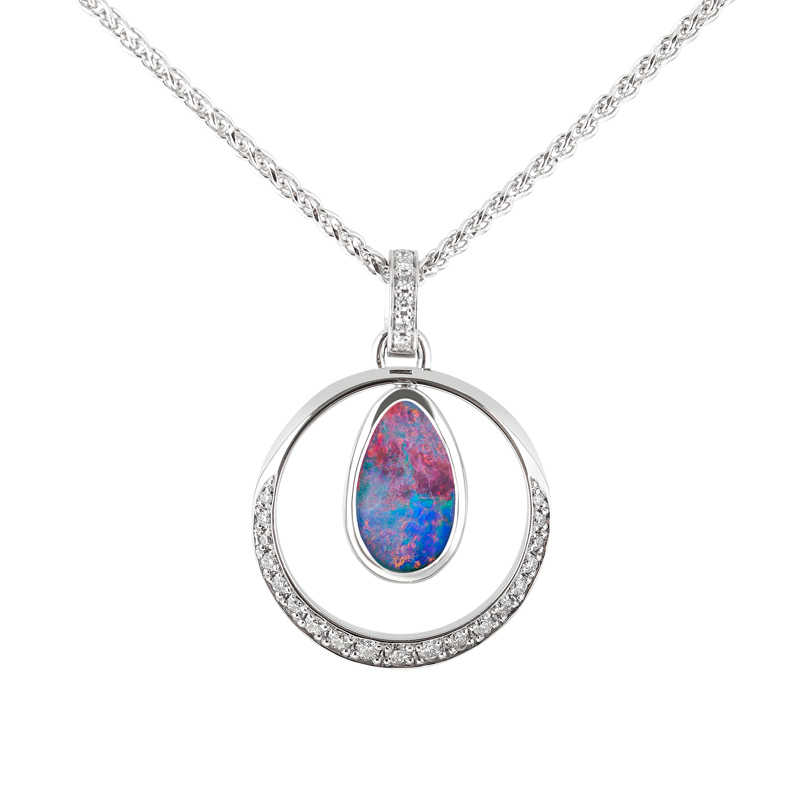 The modern design allows the opal to feature independently, while the diamonds float alongside for that extra sparkle. 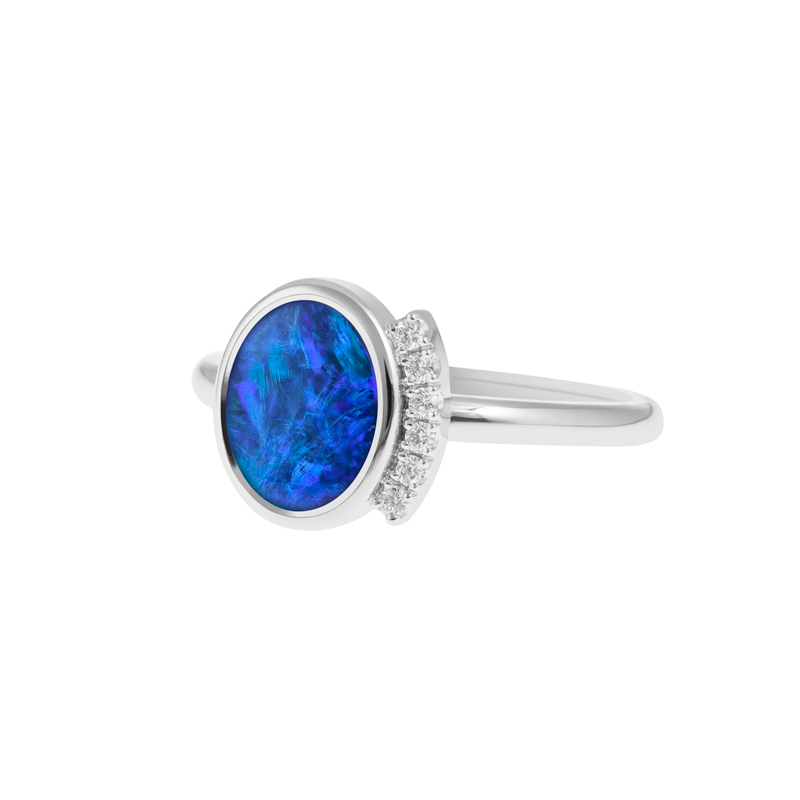 Petite, yet powerful in design.